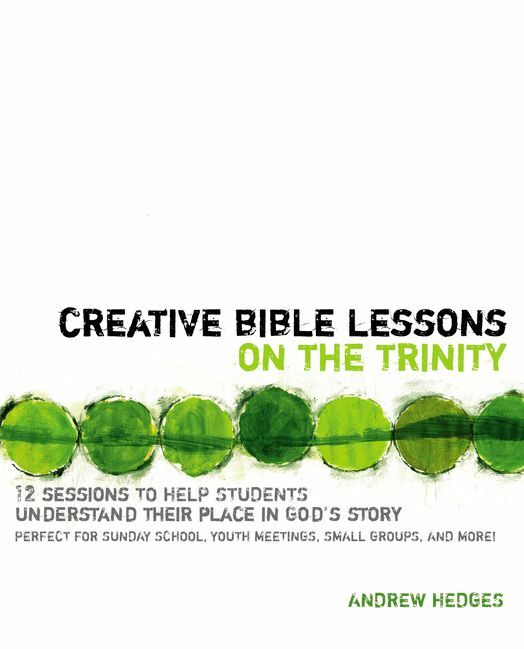 Creative Bible Lessons on the Trinity, Youth Specialties/Zondervan, 2012. 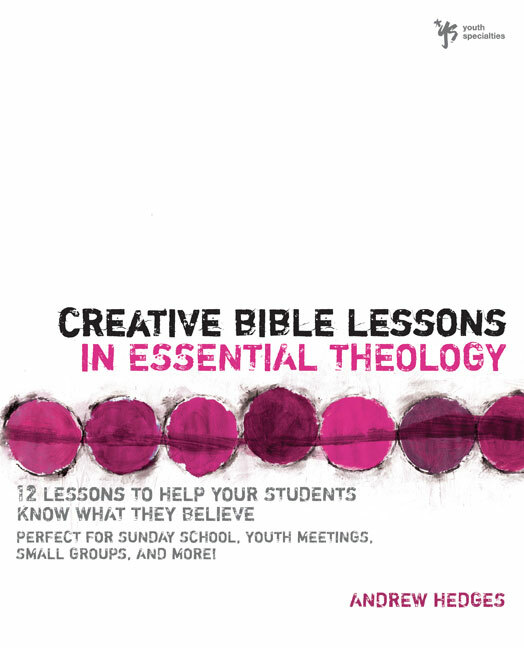 Creative Bible Lessons in Essential Theology, Youth Specialties/Zondervan, 2009. As a youth worker you have certainly spent much of your time addressing the current issues facing teens, but have you stopped to think about what may be behind students’ behavior? Many of the not-so-wise choices students make are the result of a confused worldview that comes from uncertainty about who God is. It’s easy for students to dismiss the truth when they learn from the world that all truth is relative. Creative Bible Lessons: Essential Theology uses a conversational approach to give students a theological foundation to better understand God and his purpose for how to live their lives. Throughout the twelve sessions of this study students will— * learn how creation provides evidence of God’s existence. * look at how God has chosen to reveal himself through his Word. * learn to live lives that reflect God’s love for them. * understand their need for God’s direction. * commit to following God’s will as they make life decisions. 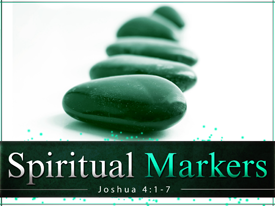 * discover how God’s invitation to enter his kingdom affects the direction of their lives. * examine where they are with God on a personal level. Following in the tradition of the bestselling Creative Bible Lessons series, you’ll find audio, visual, and hands-on activities to engage your students in the pursuit of theology. And because every student learns differently, each lesson includes options to help you reach your particular group of students, whether they learn best from imaginative, analytic, common sense, or dynamic teaching styles. With all these tools at your disposal you are guaranteed to get your students fired-up for seeking God and his plan for them. 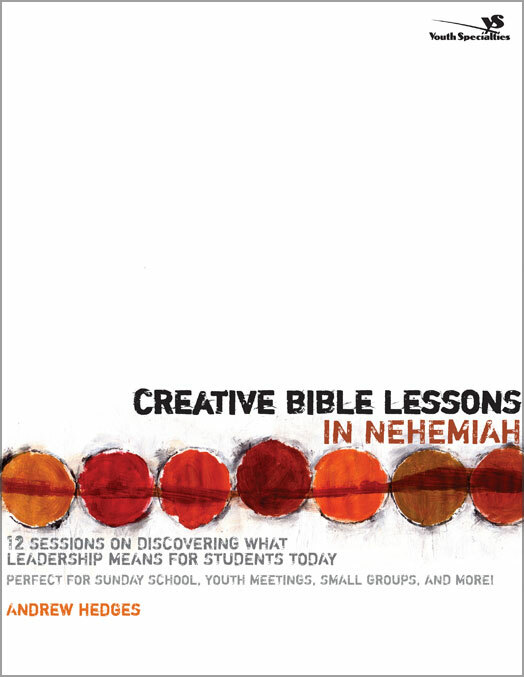 Creative Bible Lessons in Nehemiah, Youth Specialties/Zondervan, 2005. We may think of them as the leaders of tomorrow, but the kids you minister to are already leaders—they’re the leaders of today. In hallways, on playing fields, and in their own homes, students are influencing the lives that surround them. Nehemiah is one of the Bible’s most powerful examples of what a godly leader looks like. This newest collection of Creative Bible Lessons helps your students connect with this ancient figure in a way that is both engaging and relevant. Each session focuses on one chapter of the Old Testament book by using activities that emphasize four different learning styles—thereby ensuring that your students hear what they need to hear in ways they need to hear it. The session titles include: A Leader Passionately Prays A Leader Teaches Truth A Leader Walks the Walk A Leader Instills Integrity A Leader Hungers for Holiness Each session also offers an overview, a list of things you’ll need, background information on the Nehemiah chapter, openers, plenty of questions, and application options such as games, discussion starters, and small group activities that help the meaning of Nehemiah stick in your students’ heads. Creative Bible Lessons in Nehemiah will get your students thinking about the kinds of leaders God is calling them to be and provide them with the tools to be that leader…today. “Worship 101: What to Do When You’re Called to Lead“, Youthworker Journal, May/June 2010. “Leadership in Relationships”, Student Leadership Journal, Winter/Early Spring 2002. *Various web articles can be found at Youthworker.com. The Indispensable Youth Pastor by Mark DeVries and Jeff Dunn-Rankin, The Journal of Family Ministry, Fall/Winter 2011, Volume 2, Issue 1. Before You Hire a Youth Pastor by Mark DeVries and Jeff Dunn-Rankin, The Journal of Family Ministry, Fall/Winter 2011, Volume 2, Issue 1. *Various web reviews can be found at Youthworker.com.